Q: I’m giving a Christmas dinner party for the first time! I have place settings for 8 of Spode Christmas dishes from my grandmother and flatware, but no glassware. 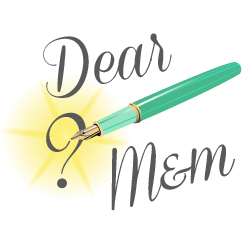 Do you have a recommendation to make the tablescape special, but not break my Christmas budget? Yes! Congratulations on inheriting such a special gift that you will cherish and use forever. 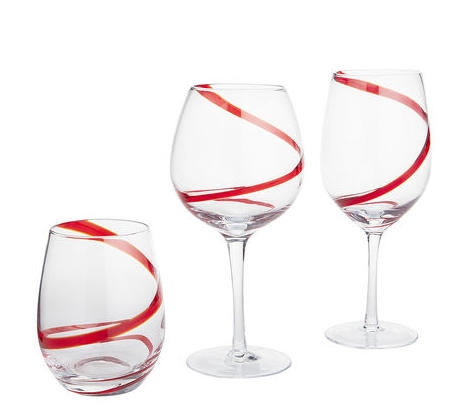 Likewise, making an investment in crystal or barware is always a good idea. You can most definitely pair the dishes with clear glassware that can be purchased virtually anywhere and at any price point, but if you want a special Christmas tablescape, we recommend you look for some of the lovely red or green glassware available from a variety of retailers. 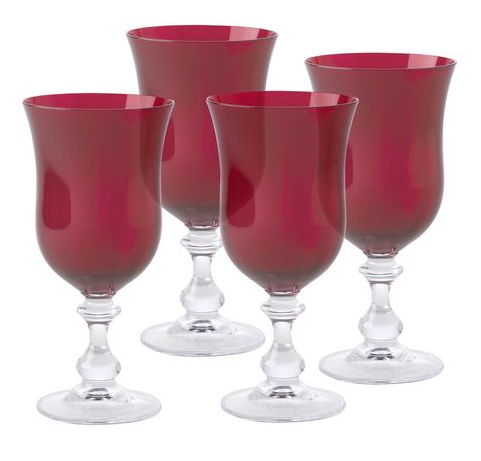 Replacements.com carries the ever-beautiful, but discontinued Cristal D’arques-Durand Antique Ruby glassware as well as some other red and green depression glass. All of these are beautiful and for a setting of 8, they won’t break the bank! Depending upon which Spode Christmas pattern you inherited you can really play up the colors. 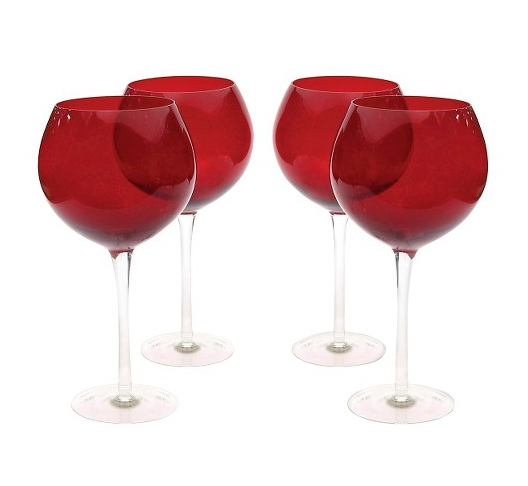 I might recommend alternating a red goblet for water with a green flute or wine glass. Spectacular! We liked all the glassware we found so much you can look at them (and a few others) under our Serendipitous Finds!